15th vehicle coy, BAOR RAOC. I want to bring back the car in its original condition including the correct color code and the tactical markings. Does anybody have the code of the so called "service green" color? What tactical signs have been on this car. Typically, those BAOR cars had two signs on the front hood and two on the engine lid. Where was the 15th vehicle coy RAOC stationed, anybody know the barracks name(s)? Any help and picture of a similar car would be appreciated! I am really not an expert, but is this really the 15 Veh Coy RAOC on the page you emphasize? I think it is RASC! Or is it the same? 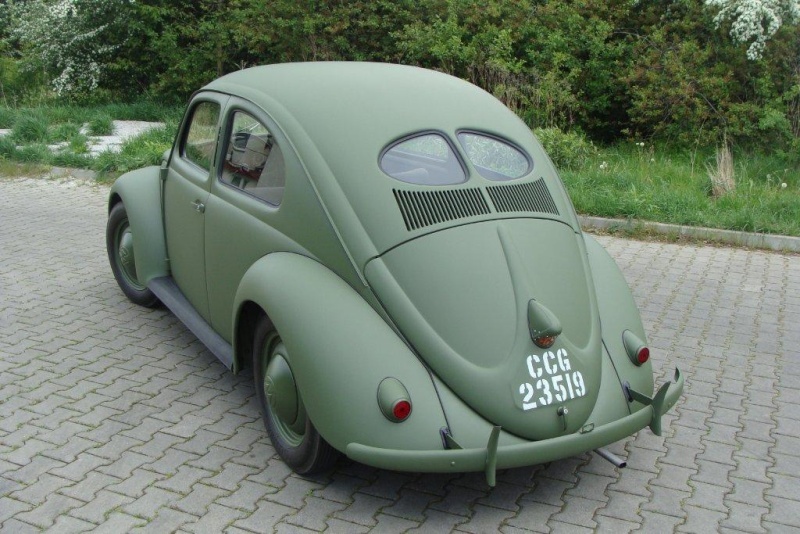 We had a similar query about 2/3 years ago when another Beetle enthusiast was seeking to restore a similar vintage military vehicle to its original condition when used by the SSO Lippstadt. If you can find the postings in the Forum archives it might give you some more hints. Where did you find the title 15 Vehicle Company RAOC? Do you have a copy of the original vehicle log book which would give details of its history? I got the "15 Vehicle Company RAOC" from Volkswagen Archive. They have an exact trace of where all Volkswagen beetle were delivered to. Of course, could be a mistake in the spelling when extracted from the archive. I would also assume, that this unit is just the receiving unit and that those beetles have then been deployed in various units. I have several B/W photos of such cars. I have no copy of the original log book. 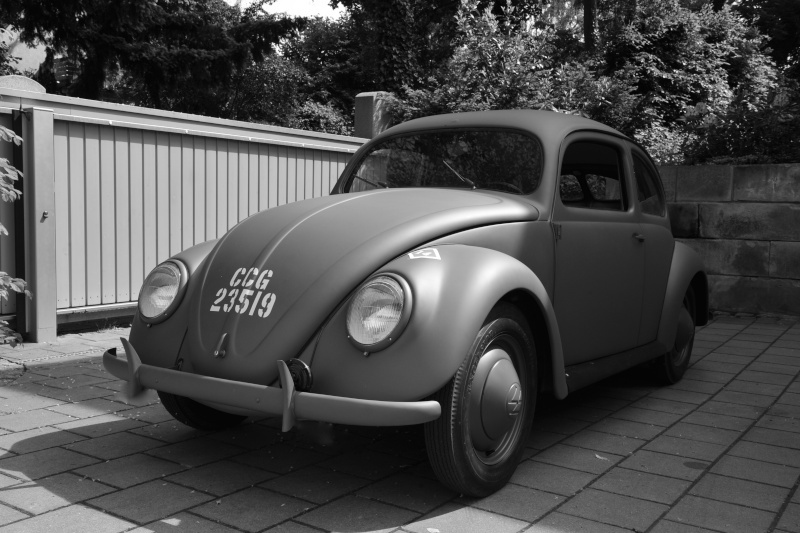 I bought the car in Austria, it was used as civil car for many years and painted several times, finally just in black. I am a Volkswagen beetle collector and as a matter of fact, I have two beetles from 1946 and 1947 delivered to the US Army, one from 1946 delivered to the French Army and one from 1948 delivered to the British Army. Without the vehicle documents it is going to be impossible to identify the working unit who first owned your Beetle. Post D-Day there were 4 Veh Companies - 14, 15, 16 & 17 Veh Companies, each with 4 Veh Parks, a returns park & a transit park. 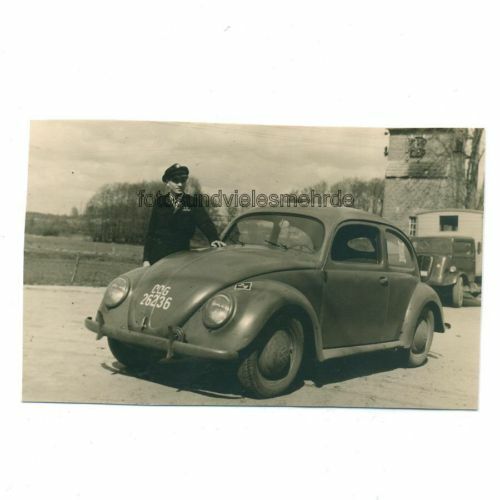 By 1945 15 Veh Company had its HQ at CVD Varrelbusch which contained unfit vehicles required for repair in BAOR Wksps but also 151,152,153 & 154 Vehicle Parks which were useing some of the Autobahn Systen to store vehicles in the open. After 1948 all Vehicle Holding were slowly run down and 17 Base Vehicle Depot at M.Gladbach took control of BAOR Vehicle Holding. RAOC Units used the 21 Army Group sign on its own vehicles, and many of the returned vehicles still had Formation Signs of many differant units. However New Vehicles from Trade would have no unit markings at all, and may have had Oil Change and/or Coolant Change details stencilled on the inside of windscreen on the non drivers side. All Military Veh's were accounted for by its Registration Number, and vehicles such as VW Beetles would have this allocated at the factory by the Military Purchasing Authority. 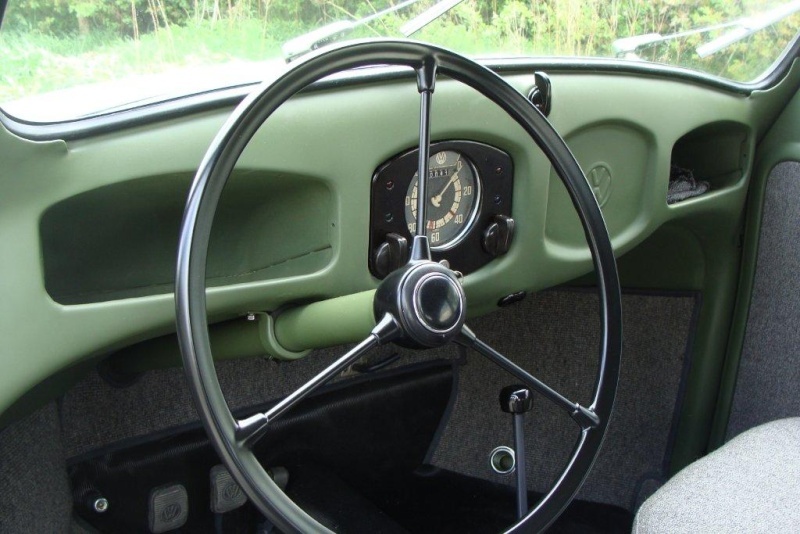 Does anybody have a color code for the olive green (service green) of postwar military cars from the British army. Hi, I will use RAL 6003! Just another question: Are the following CCG beetle from the British Army? Any idea? the Office of Military Government, United States (OMGUS) in West Berlin and Frankfurt upon Main. 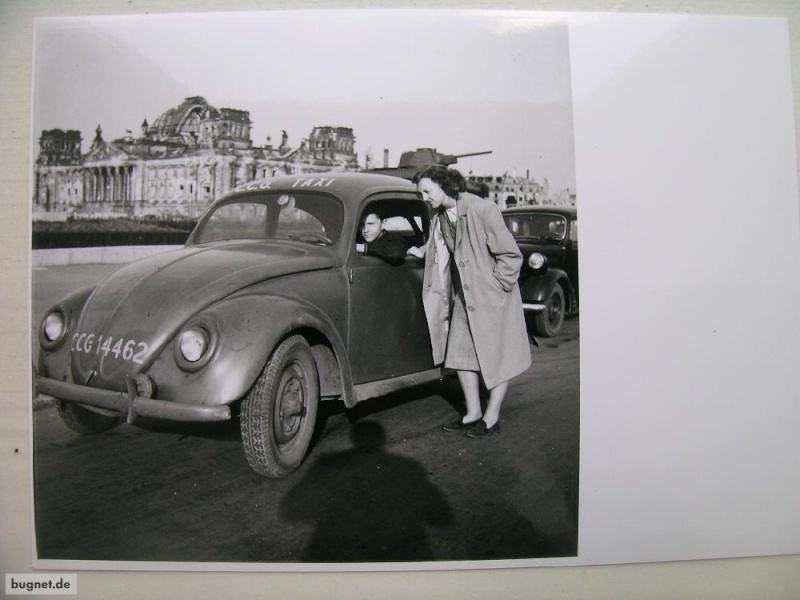 They did however receive a number of staff/utility cars including captured vehicles which were all regeistered with CCG numbers, later they received new VW's via British Vehicle Depots. Thanks! This is very helpful information! Hi, can not upload the picture, but it is the one with the guy standing next to it in the threat already. my 1948 BAOR Volkswagen is ready and a little masterpiece of restoration! Hi. Really interesting. I had a 52 BAoR car a few years ago. I now have a '49 beetle that looks to be a border patrol car. Originally grey from the factory but then painted Ral6012 black green. Fitted with searchlights and sirens. Missed your last set of photographs, congratulations on a job very done, the end product is magnificent. Any chance of you posting a photo of your "Beetle"? And me, fantastic restoration job. Any problems with the exhaust emissions? A real blast from the past. Well done. BTW 15 Vehicle Company RAOC as at 31 Dec 47 had 22 Officers and 626 other ranks in 6 locations!